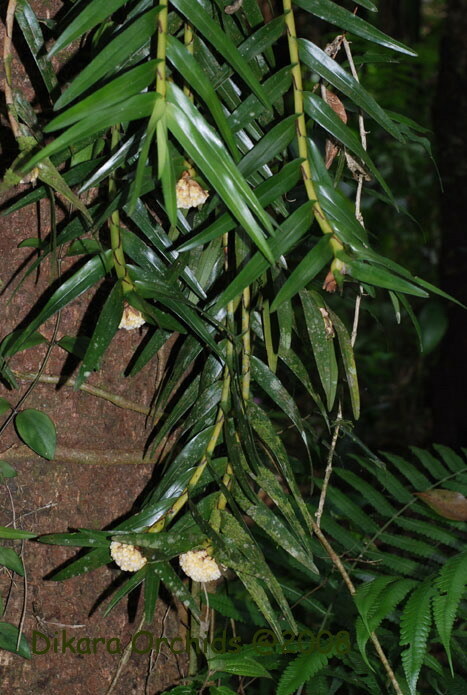 Found in Malaysia, Borneo, Java and Sumatra in lower montane forests and semi-open locations at elevations of 400 to 1200 meters as a medium sized, hot to cool, pendant growing epiphyte with 1" [2.5 cm] between each stems carrying lanceolate, very gradually narrowed from the base upwards, slightly uneven apically leaves that blooms in the winter on a corymb of many flowers held close to the apex of the stem. 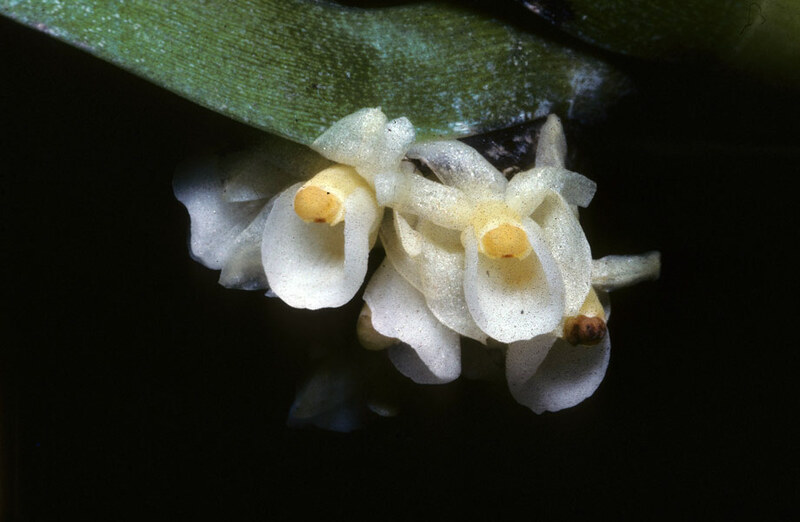 Easily recognizable because of the "U" shaped lip in cross-section and the thin pendent, many linear leaves stems. 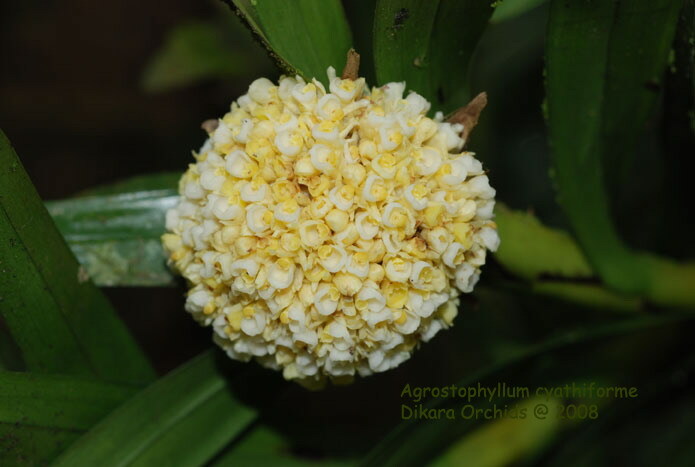 The flowers are very similar to Agrostophyllum lampongense but that plant has an erect, short, broad, flattened, few leaved stem.